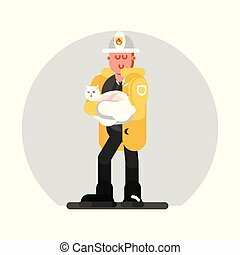 Fireman rescues cat. 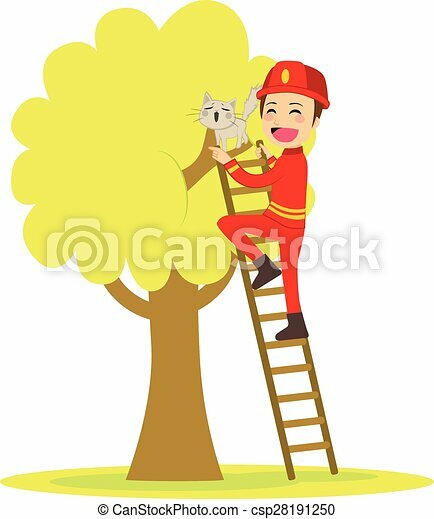 Brave young fireman rescues cute cat on tree climbing ladder. 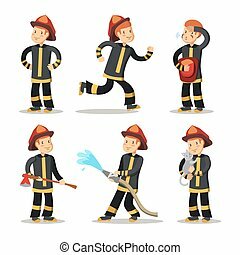 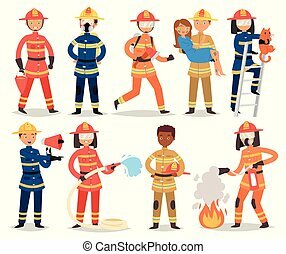 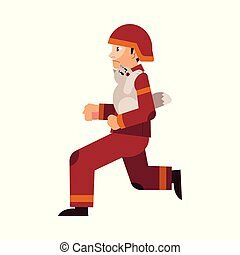 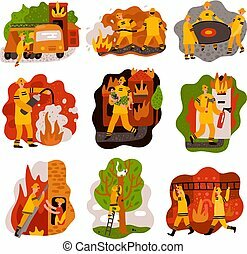 Firefighter vector cartoon fireman character firefighting fire with firehose hydrant and fire extinguisher equipment illustration set of man or woman in helmet isolated on white background.